I am very pleased to have provided funding and support with installation of the new UMCycle Bike Kiosk, a full-service bike shop at the University of Manitoba. The UMCycle Bike Kiosk is open for services to everyone – students, teachers and community residents – and features parts and accessories for sale. The Kiosk also provides installation, adjustments and overhauls for bikes, all within a refurbished shipping container. It’s sustainability in action! I will be attending the Grand Opening on Thursday, September 14 at 11 a.m. at the U of M, and invite everyone to join me to learn more about this new community resource. For more info, visit http://umsu.ca/businesses/umcycle/ or phone 204 474 8484. 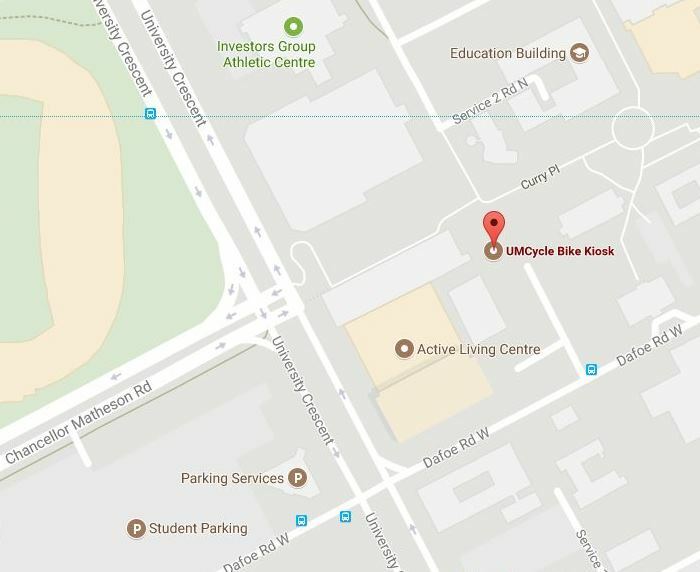 Located at the intersection of the Curry Place Pedway and Sidney Smith Street on the University of Manitoba’s Fort Garry campus, the UMCycle Bike Kiosk and Cycle Plaza serves as a unique campus landmark, and our own link on The Great Trail (formerly the Trans Canada Trail). The UMCycle Bike Kiosk was the first project at the U of M to incorporate the Indigenous Planning and Design Principles. The principles are rooted in the concept of interdependence, where the various components of campus planning and design are not isolated entities, but interdependent and interconnected. 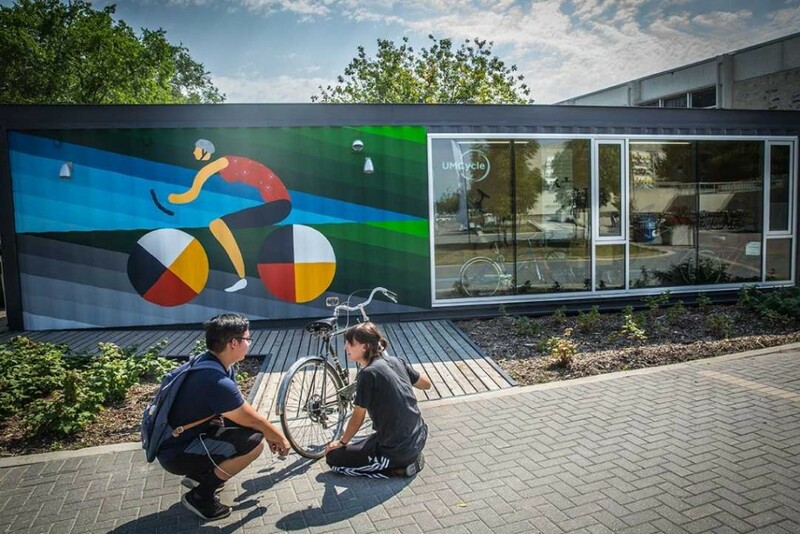 A key component of the bike kiosk is the mural on the side of the building, which was created by artists and U of M alumni, Dee Barsy and Kenneth Lavallee, and curated by Jenny Western. This is a free event and everyone is welcome. A light snack and refreshments will be served. The event will feature remarks from those involved in the creation of UMCyle, including U of M, UMSU, Government of Canada and City of Winnipeg representatives; as well as artists Kenneth Lavallee and Dee Barsy. UMCycle specializes in convenient and affordable adjustments and overhauls of all systems of the bike; and sale and installation of new and used parts and accessories. The Cycle Plaza features a community-use tool kit which can be borrowed from the kiosk, a pergola which offers a shaded area for bike repairs, an outdoor repair stand for anyone to use, bicycle lockers, bike racks and plenty of space to meet up with other cyclists.